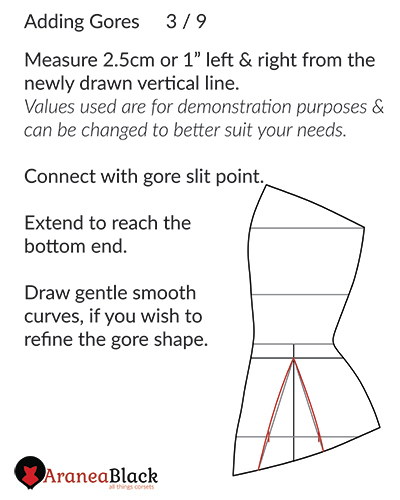 How to add gores to a corset patterns? 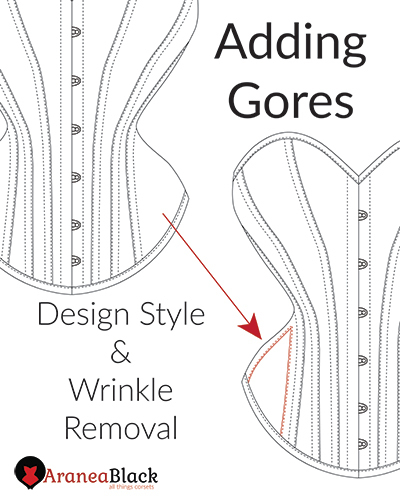 I know that gores are difficult to sew into to a corset. They are stubborn and plain weird but they can be a great choice to spice up your design. Also, they are a versatile helper when you need to remove wrinkles. 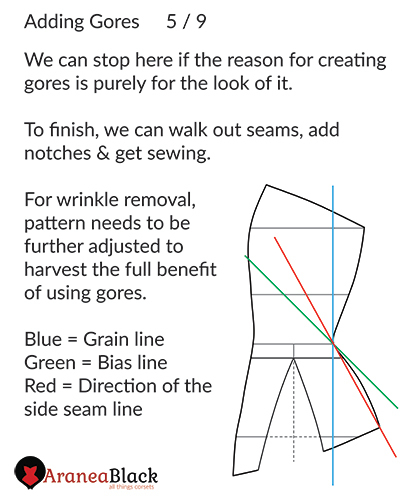 When dealing with fabric wrinkling due to pattern pieces being aggressively curvy, drafting a gore can be just what you needed! 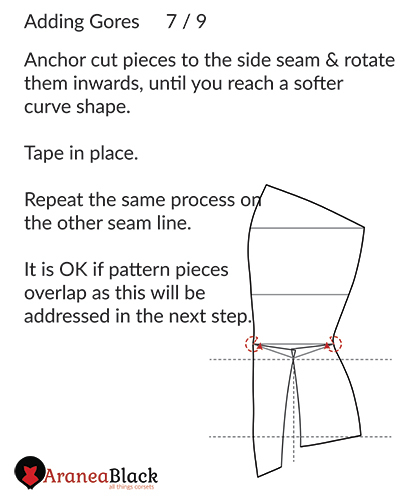 As you will see in the tutorial, wrinkling likes to occur on the side hip seam. 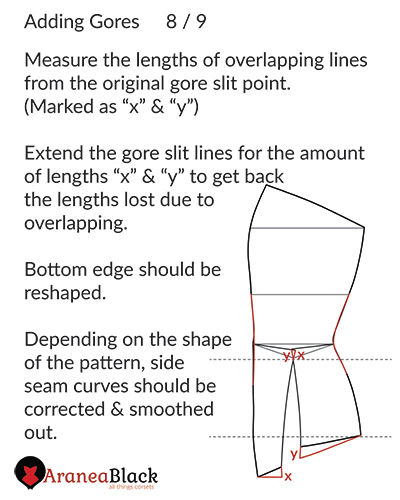 This is where corsets usually have their most craziest curves. 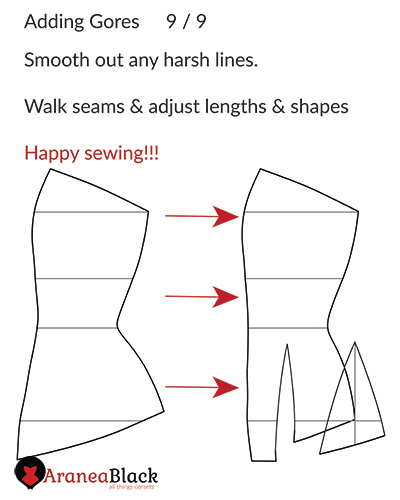 Those super curvy curves tend to lay spot on the bias line of the fabric. 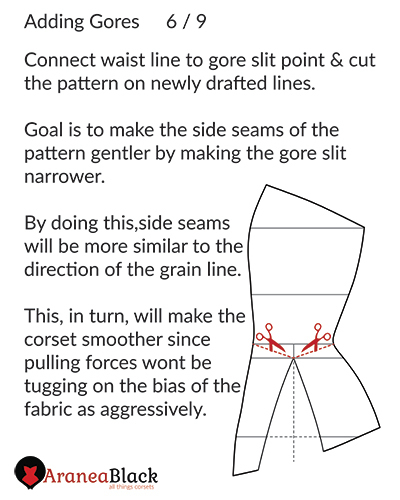 ALL woven fabrics stretch to some degree on their bias. Even the tightest coutil out there so, instead of forsaking your project or stuffing it with ungodly amounts of boning. 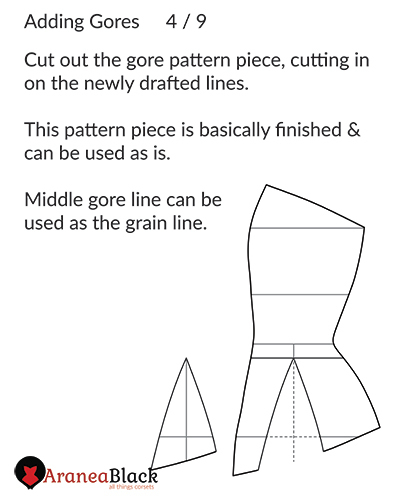 Try playing your hand at using gores to your advantage. 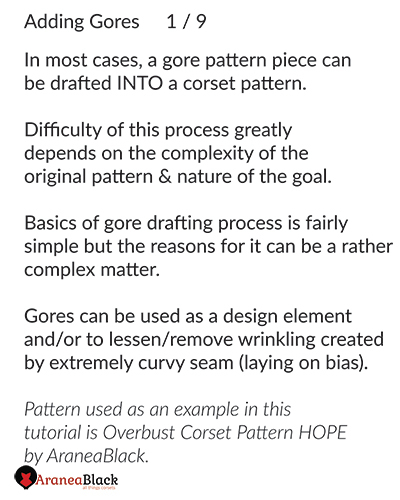 While the following pattern is the most complex one (for now), I do hope it will provide you with the basic tools and concepts that will spark in you the interest for complex corset pattern manipulation. 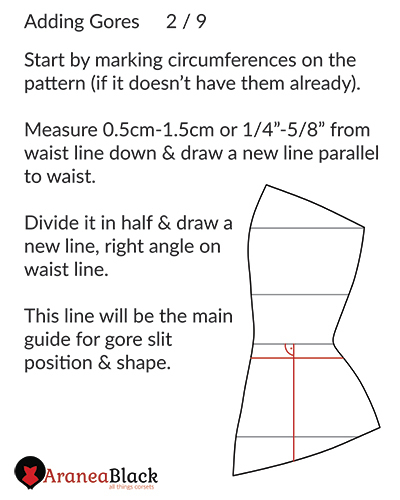 Method is demonstrated on a modified Overbust corset pattern HOPE though the same principle can be applied to any other corset patterns.